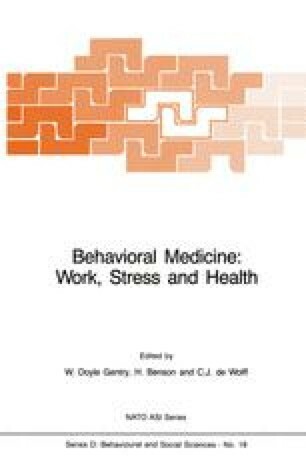 Business executives, lawyers, and U.S. Army officers have at least three things in common: (a) they are subjected to significant numbers of stressful life events in their work, (b)many members of each occupational group remain mentally and physically healthy in the face of even high stress levels, and (c) their health is explained, in part, by their characteristic personality styles which interact with other stress-resistance resources to buffer the negative impact of stressful life events. These are the general conclusions of a series of stress studies conducted on different occupational groups. All were guided by the question: How is it that some persons do not get sick following their encounter with frequent and serious life stresses? Each professional group provided a complementary but slightly different answer emphasizing personality.